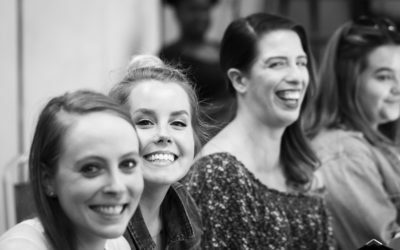 Go behind the scenes with Brampton Music Theatre, as they get ready for audiences to be “part of their world” in their newest musical production – The Little Mermaid. In just a few days, audiences will be packing the seats of the stunning Rose Theatre in downtown Brampton for the first blockbuster musical of the year, when Brampton Music Theatre opens Disney’s The Little Mermaid. The musical is on stage from March 30th until April 8th, and the company promises this is a show unlike anything they’ve done before, and more dazzling than anything Brampton’s ever seen. Disney productions have been a staple on Broadway for nearly 25 years, and has been the industry leader in family entertainment for over a century. The studio is known for some of the greatest animated movies and musicals of all time, like The Lion King, Aladdin and Beauty and the Beast. But after their commercial struggles in the 1980s, that changed with the beginning of the Disney renaissance in 1989. It started the release of an animated movie with a Broadway-style story, about a teenage girl from the ocean as she journeyed to the human world. That movie was The Little Mermaid. And now, Brampton Music Theatre (or BMT) is busy preparing to bring the musical spectacular to the Rose Theatre. The Little Mermaid would become a wild success as a movie, grossing $200 million in 1989 and winning 2 Academy Awards for the music by Alan Menken and Howard Ashman. 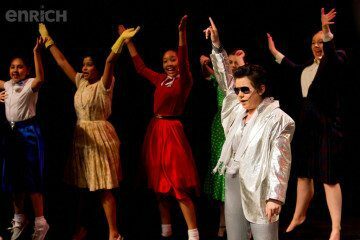 It was adapted for the stage in 2008, and ran for two years on Broadway. The popular movie is known for it’s colourful characters and stunning worlds, but also for some of the best-known songs in the Disney catalogue like “Part of Your World”, “Kiss the Girl” and the Oscar-winning “Under the Sea”. Now, it’s being presented in Brampton for the first time as the second headliner show in BMT’s 2016/2017 season. 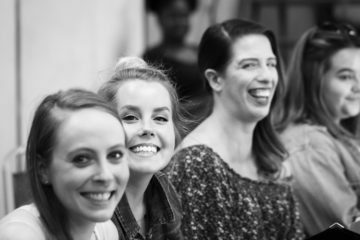 BMT has been producing community theatre in Brampton since 1963, and has produced nearly 120 productions in their history. 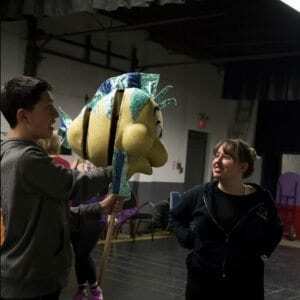 Being so well-known and loved, the movie was the main inspiration for the creative team in creating this production The Little Mermaid for the stage. 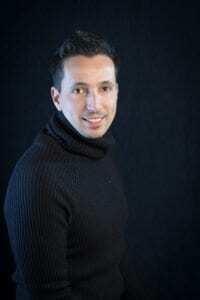 Steering the ship is artistic director Steven Botelho, directing his first show for BMT. 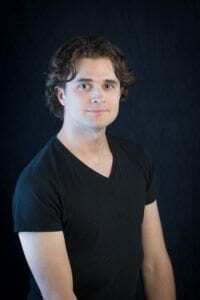 Botelho himself is an actor, puppeteer and designer, and much of his experience has shaped the musical. He describes himself as a traditionalist and head-over-heels fan of the Disney movie. The story of The Little Mermaid follows a teenage mermaid named Ariel, youngest daughter of King Triton, ruler of the seas. Ariel dreams to join and explore the surface human world, and after she rescues the heir Prince Eric from a passing ship, she gets her chance with the help of her friends….and a spell from the sea witch, Ursula. 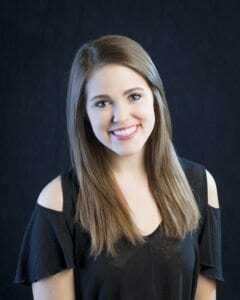 Jenna DiMarco leads the show in the starring role of Ariel, a character she’s already familiar with. She’s played Ariel before, working with company Fantasy Fables, appearing as Disney princesses for events. But she’s excited for the musical because she’s learning something new about the piscean princess on stage. When interviewing the lead actors and directors, there’s one observation everyone makes (unaware the others have too.) 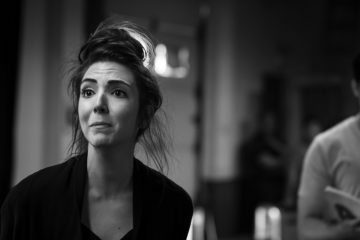 Everyone agrees how well cast each of the actors are in their different roles, and how each character is perfectly suited to the performer playing them. The first example most people give is Christian Bell-Young, who plays Prince Eric, the prince who lives by the sea. Like Ariel, he’s out looking for something outside his kingdom, and willing to explore to find it, eventually searching for Ariel, the girl who recuses him. “Sometimes it’s okay to feel outside your own world,” says Bell-Young. “The Little Mermaid is a story about sacrifice, and wanting to change to find true happiness. And we’ve all done that.” This is a story Bell-Young knows well; he left his home and moved to Canada last year from England with his wife. Vibrant doesn’t begin to describe the magnitude of the underwater world being designed for the stage. There’s breathtaking lights, beautiful, enormous sets (some as large as a mini van) and hundreds of colourful costumes. And when it comes to characters, there’s none more memorable than Sebastian the Crab, the ocean court composer and Ariel’s eventual friend. In this production, the crustacean is played by Shine Award-winner Christopher Ning. His standout scene is the show-stopping song “Under the Sea”. 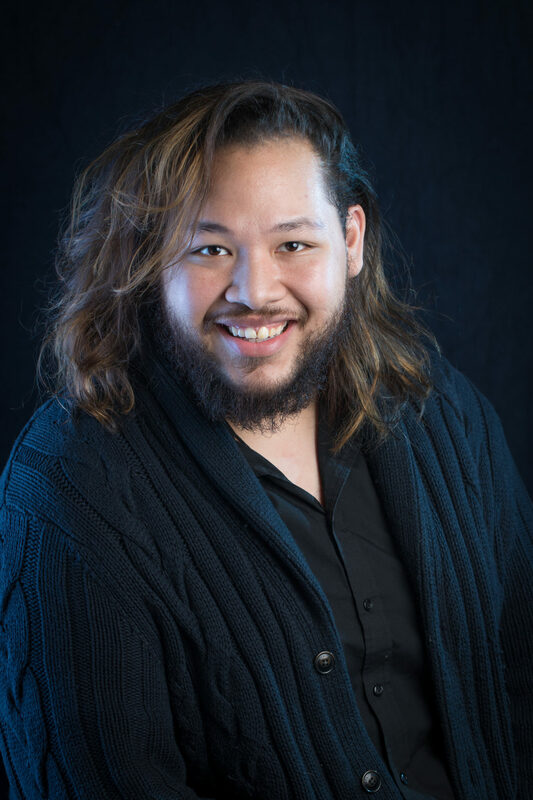 Ning has a great amount of fun playing Sebastian, especially with the upbeat calypso music. But according to him, the best part of the show are his fellow actors. 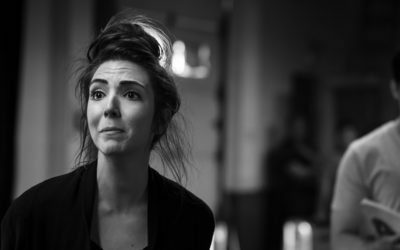 “It’s a very warm cast, and coming to rehearsal is like a big love fest. The ensemble makes it so exciting!”. 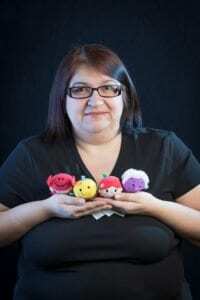 DiMarco adds, “Steven’s amazing with his puppets and everything. 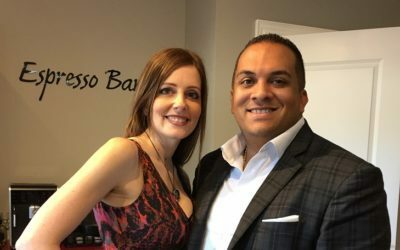 His vision is so exact.” He’s also backed by some killer singing and dancing with a talented duo: music director Vince Gassi and choreographer Stephanie Gemmell. They both know how to make a Disney musical really shine: they both worked on BMT’s award-winning production of Mary Poppins in 2015. 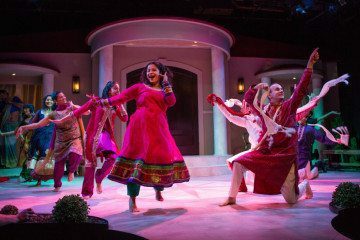 The love and talent from the cast and crew with Brampton Music Theatre’s company is captivating, and all adds to a truly beautiful show. Although there’s a lot in common with the original movie, there’s a lot more to see with the live musical, and the cast is ready for audiences to come and see them. BMT’s The Little Mermaid is going to be a musical blockbuster, and a can’t miss event at the Rose Theatre. From it’s beginning as the beloved Disney animated movie, Botelho and the team have made a theatrical wonder that must be seen to be believed. So Brampton can look forward to a magnificent show with heart, wonder, and a certain mermaid and prince on a dazzling search for their happily ever after. But there’s so much more under the water’s surface, and soon audiences will have their own chance to come and explore what it’s like to be “part of that world” for themselves. 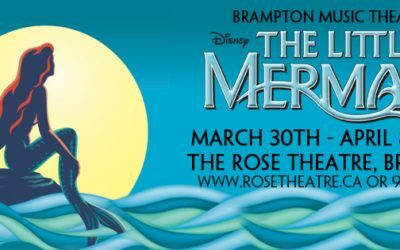 Brampton Music Theatre’s production of The Little Mermaid is playing Thursday March 30th until Saturday April 8th at the Rose Theatre, 1 Theatre Lane in Brampton, ON. Tickets are available from the Rose Theatre box office in person, by phone (905)-874-2800, or online at www.rosetheatre.ca. Tickets range $22-35, with group, child, student and senior discounts available.